Sea, Sand & Sky: Another fun day at McDonough! Another fun day at McDonough! Today was eventful to say the least. 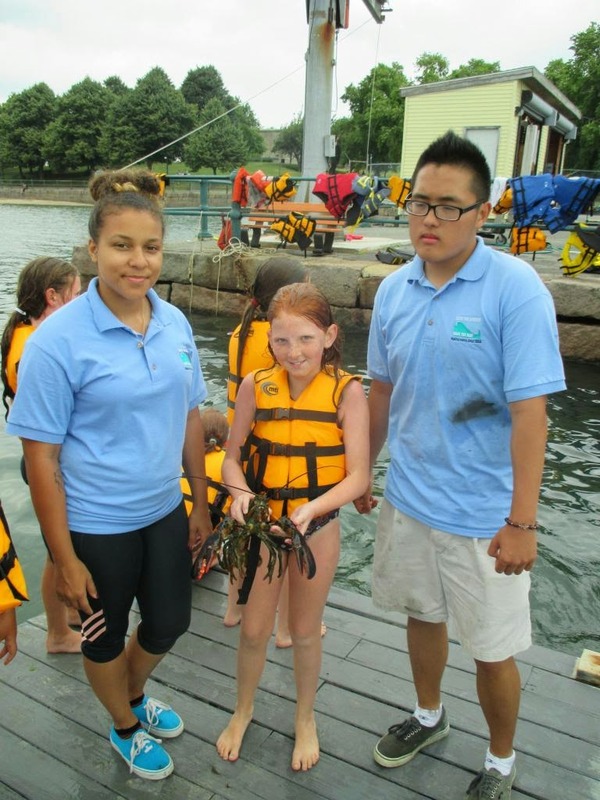 At McDonough Sailing Center in South Boston we caught tons and tons of crabs! The majority of crabs we caught were green crabs. The kids were excited to keep a tally of the crabs that they caught; some of their numbers were past 50! 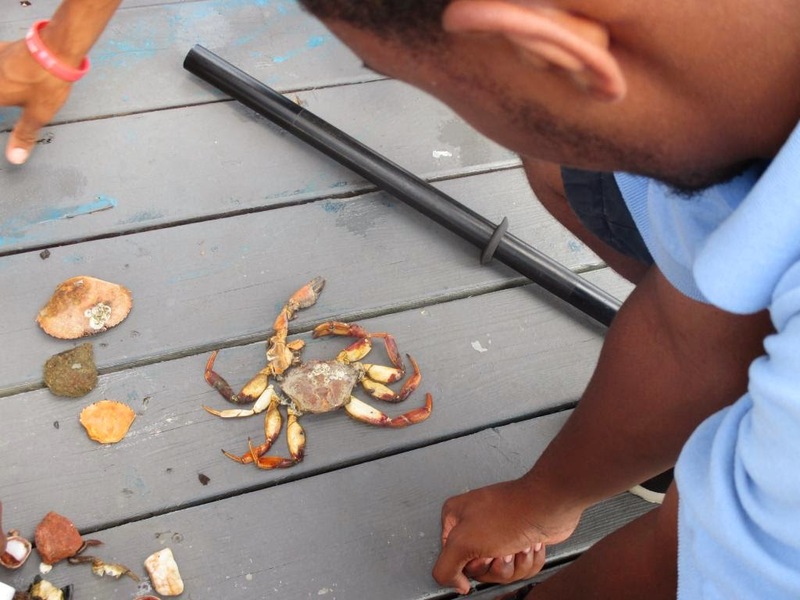 At the McDonough Sailing Center it is literally impossible to not catch any crabs. We were lucky to even have caught a massive spider crab! The kids were intrigued by the sheer size and length of the spider crab's claws. A little while after that Kelly led some kids out onto the beach to comb for interesting items. They brought back a plethora of crab body parts, to the point where we were even able to reconstruct a crab out of them! Towards the end of the day it is always customary for us to go out to the middle of Pleasure Bay and check our lobster traps to see if we caught any gargantuan lobsters. Esmeralda and I were taken out to check the traps. The first trap's rope was really slimy but eventually the trap was hoisted onto the boat. Inside were two fairly large lobsters. However, the next trap had a massive lobster in addition to two smaller ones. We were happy with our catch because that meant someone could take them home for a satisfying meal! The only downside to catching the lobsters is that your work clothes tend to get really dirty from the tar and dirt on the cages. Other than that, the day was a successful one!